The USA Basketball Women’s National Team overcame a 16-point deficit in a 74-68 win over Canada on Saturday night at the Webster Bank Arena in Bridgeport, Connecticut. The USA outscored Canada by 18 points in the final two quarters to avoid its first loss on home soil since a 65-64 exhibition defeat at the University of Tennessee on Nov. 7, 1999. 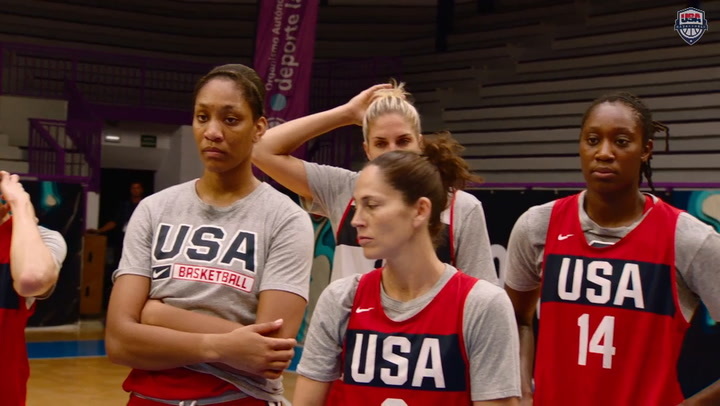 USA and University of South Carolina head coach Dawn Staley spoke about the positives of competing in a close game. A’ja Wilson (Las Vegas Aces) answered the call by leading the team with 15 points and 10 rebounds. Wilson, Napheesa Collier (Connecticut), Elizabeth Williams (Atlanta Dream) and Kelsey Plum (Las Vegas Aces) played the entire fourth quarter. Layshia Clarendon (Connecticut Sun) played seven of the 10 fourth-quarter minutes. 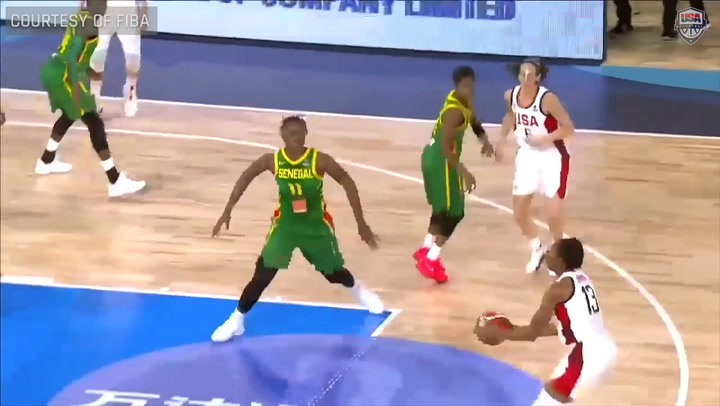 All 15 players on the USA roster entered the game, and 10 played double-digit minutes. But the comeback was led by the group of Wilson, Collier, Williams, Plum and Clarendon. The USA was trailing 62-58 with 5:28 left in the fourth quarter when it closed the game on a 16-4 run and outscored Canada by 14 points in the period. The USA made 80.6 percent of its free throws. Wilson hit nine of 10 from the line. Nneka Ogwumike (Los Angeles Sparks) and Morgan Tuck (Connecticut Sun) each knocked down all four of their free throws while Clarendon made 6-of-8. Collier went 3-for-4 from the line. Wilson, who was sitting next to her college coach during the post-game press conference, smiled. “Which is rare for her,” Staley said, and Wilson’s smile disappeared. Wilson helped the USA grab 51 rebounds to Canada’s 38. The USA shooting percentage improved as the game went on. After making just 23 percent of its shots in the first three quarters, the USA made 53 percent of its field-goal attempts in the fourth. “Once we came out in the second half, shots started falling, we picked it up on defense, and things just kept going well for us and we willed our way to a win,” Wilson said. Williams, who had joined the team on Friday, had a big finish by hitting three of her four fourth-quarter shots on her way to scoring eight points. Clarendon and Plum also scored eight points. USA will be looking to keep that rhythm when it faces Japan on at 7 p.m. EDT on Sept. 10 at George Washington University in Washington, D.C.
Frank Bonner II is a contributor to USAB.com as part of the Sports Capital Journalism Program at IUPUI. The USA will be in the hunt to earn a 10th World Cup gold medal at the 2018 FIBA World Cup Sept. 22-30 in Tenerife, Spain. 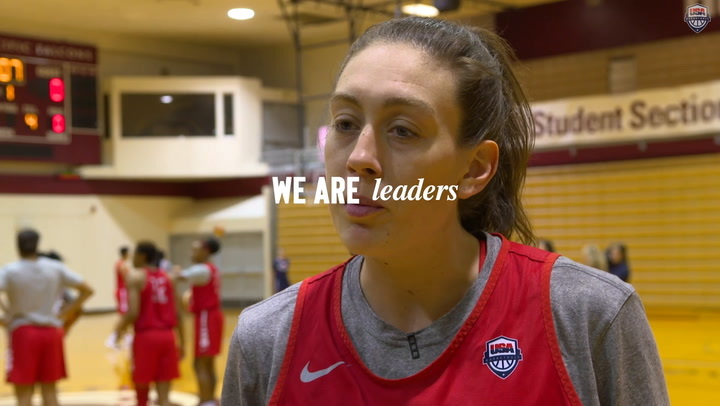 Follow along on the team’s journey on usab.com/WNT and through USA Basketball’s social media as the team goes for gold.